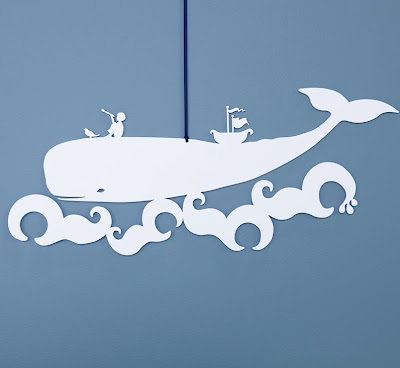 I have been working on breathing some life into Anya and Josiah's room for the last fortnight, very slowly I might add! I'm looking forward to sharing some photos as soon but in the meantime, here is some inspiration I found along the way. 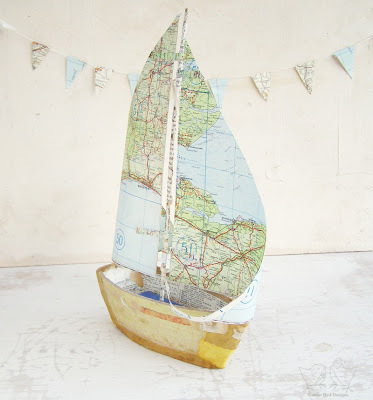 I adore this stunning boat made from recycled books and maps. 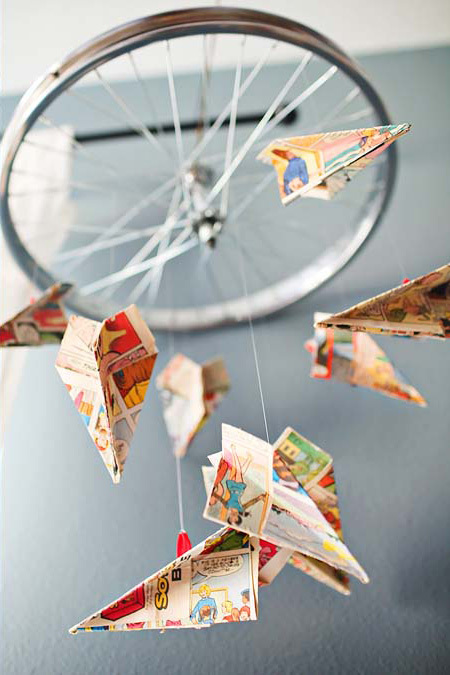 Also love this paper plane mobile made from old comics via The Brothers Trimm. 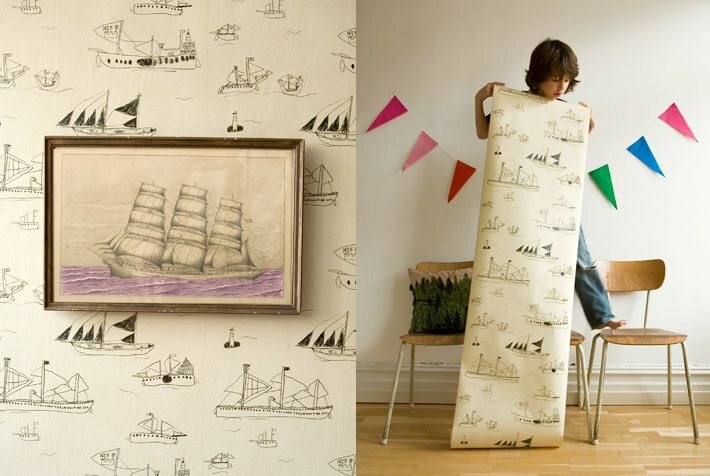 Gorgeous wallpaper from Fine Little Day designed by a very clever 8 year old called Otto Dunker.